Become the leader God has called you to be when you join other high school students who are committed to Christ, leaders in their community,academically gifted, and discerning God’s direction for their life. Eligible students must have finished 9th grade by June 2019 and have a GPA of 3.3 or higher. Youth Becoming Leaders: High School Christian Leadership and Global Transformation Institute equips high school students for theologically guided living and decision making through immersion in Christian Scripture, theological texts, tradition, and community to lead and serve in a complex global society. Identify a mentor from your home church/community that will commit to journeying through a mentor relationship for the next year. Have this potential mentor fill out the Youth Becoming Leaders Mentor and Reference Form and submit by March 15, 2019. Acceptance to the YBL program will be granted as early as February 15. Turn in all application materials (online application, mentor & reference form, and video of Scripture memorization) by Friday, March 15, 2019. Complete a short personality inventory which will be used in placing participants into small groups and assisting in leadership development. (A link to this inventory will be sent to the email address you enter below upon submission of the application information.) Deadline April 15, 2019. Complete a short online pre-event assessment. (This assessment will be emailed to the participant in late spring. It will be important for the participants to be aware of and respond to all email communication from Asbury University about the Youth Becoming Leaders program.) Deadline April 15, 2019. Submit payment of $425 to Asbury University. Deadline April 15, 2019. Read a short book that will be referenced during the institute. (Upon acceptance into the program Asbury University will send this book to the participant’s mailing address listed below.) Deadline to have the book read, June 2, 2019. *Youth Becoming Leaders requires acceptance through an application process (application coming soon) that includes; a minimum GPA of 3.3, demonstration of leadership in the local community, reference letters, and memorizing scripture. The true cost of Youth Becoming Leaders is around $4000/student. The low cost of $425 is enabled because Youth Becoming Leaders is funded through generous gifts and grants from Carson-Myer Foundation, Lilly Endowment, Asbury Theological Seminary, Asbury University, and individual donors. You can donate here to help support this program. **This initiative will also include a post-residential program curriculum that includes elements to be completed with their mentor. Mentors will be brought in for the final 24 hours of the residential program for training and to refine a ministry project to be completed by the student in the months following. There will be no cost to the mentor for this trip. Youth Becoming Leaders will be run by Asbury University faculty and students from the Christian Studies and Philosophy department in partnership with Asbury Theological Seminary faculty, Youth for Christ staff, local ministry leaders, and a host of expert guests. D.J. Coleman is the Middle School Pastor at Grace Snellville outside of Atlanta where he has been serving for 7 years. Growing up, the only things that D.J. cared about were sports, money, and himself. His life took a radical turn when he attended a Christian youth conference at the age of 18. The things that used to matter to him no longer did, and Jesus became precious to him. Fueled by a desire to see Jesus become precious to others, D.J. began devoting all of his time to studying the Bible and ministry. Within months he was serving as a youth pastor and preaching. His passionate and sincere preaching of God’s Word has blessed many. 10 years later D.J. is happily married to his wife, Sarah, and has two adorable children Jubilee (2) and Benaiah (1). He enjoys going on walks with his family, lifting weights, watching football and basketball, playing the piano, and reading books. Elizabeth Bjorling Poest has been a full time youth pastor for 17 years: pastoring Children and Youth at medium sized suburban university congregation, Jr. Highers and Preteens at a large multi site church, and now at a smaller urban church in Chicago. 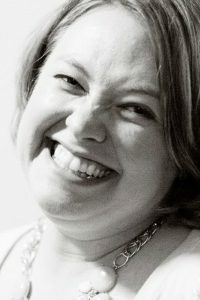 Elizabeth teaches Youth and Christian Ministry courses at Trinity International University, Deerfield, IL. She just earned her PhD in Christian Education at Trinity Evangelical Divinity School. Elizabeth is an ordained elder in the Church of the Nazarene, co-wrote a book being published this fall with Cascade Publishing, helped design and write Wired and Collide Preteen Curriculums for Foundry Publishing, and is a regular speaker at churches, camps, revivals, and conferences to teens and adult leaders alike. In her spare time Elizabeth loves adventures with her husband Christopher, making up silly songs, laughing until her sides hurt with family and friends over her signature dessert- burning peaches, or drinking great coffee while catching up with her favorite students and interns now scattered around the globe. Chris Bounds came to Asbury after teaching for more than a decade in the School of Theology and Ministry at Indiana Wesleyan University. He is an Ordained Elder in The Arkansas Conference of The United Methodist Church, where he served as an associate and senior pastor for eight years. He received his B. A. degree in Bible and Greek from Asbury University in 1988, and an M. Div. degree in 1991 from Asbury Theological Seminary with an emphasis in theological studies. He was awarded his M. Phil. in 1994 and Ph. D. in 1997 from Drew University with a focus in systematic theology. He and his wife Tamara have been married for over twenty years. They have two children, Maris and Morgan. Chris loves Arkansas Razorback basketball, Notre Dame Fighting Irish Football, and Ben and Jerry’s Heath Bar Crunch Ice Cream. James K. Hampton is the professor of youth ministry and practical theology at Asbury Theological Seminary. A veteran of youth ministry for over 25 years, he co-founded Barefoot Ministries, a publishing company in the Wesleyan tradition and served as the coordinator of Youth Ministries (USA/Canada) for the Church of the Nazarene from 1999 to 2001. In addition, he spent nine years on ministerial staff in churches in Ohio and Kansas. 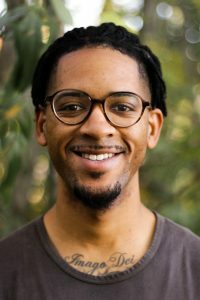 He is a well-respected writer, having written numerous articles and chapters for youth and youth workers, including serving as the author and/or editor of seven books, including Worship-Centered Teaching, Everyday Saint, and his most recent book, Sacred Space: Living in the Presence of God. Jim and his wife, Carolyn, have two children. Kevin Becht is the Southern Indiana Area Director for Youth for Christ/USA. He is a graduate of Asbury University (B.A. Christian Ministries/Intercultural Studies Concentration). He served as a contributing editor of The YFC Three Story Bible and The Life Bible-zine with Tyndale Publishers, as well as a member of the Leadership Development team as a facilitator of One Heart Retreats (the initial training experience for YFC missionaries serving around the world). He and his wife Kristi have been married for twenty-five years. They have three children. Joshua (Asbury Class of 2018), Hannah (Asbury Class of 2021), and Caleb (who plans to attend Asbury). Brian Hull is the program director and is a professor of Youth Ministry at Asbury University. 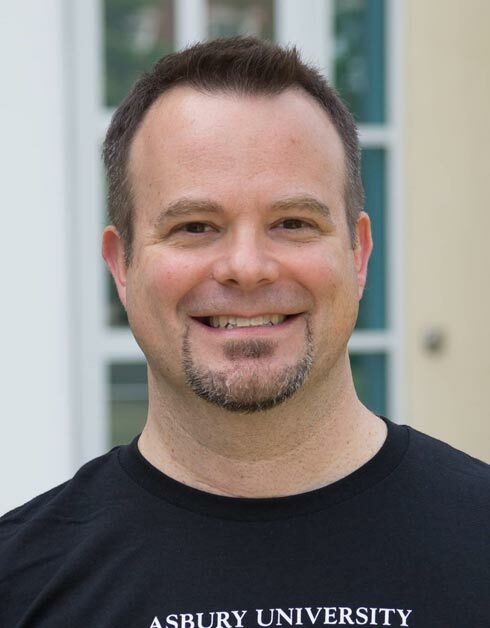 Brian has over 20 years of youth ministry experience and has been the director of the CALL Conference, a weekend experience for High School students who are called to ministry, since 2009.